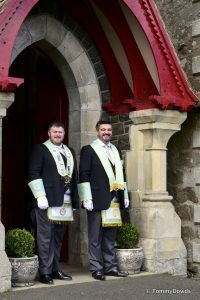 Seven Towers & Massereene Divine Service. 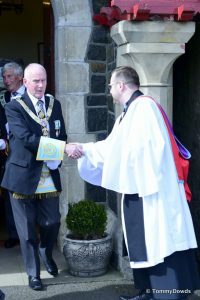 The Seven Towers & Massereene District Charity Committee Divine Service was held on Sunday 13th May. 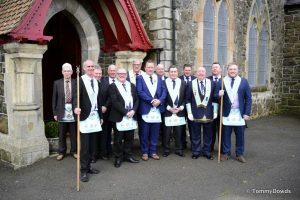 The service, hosted by Lodge 246 Broughshane, was held in St. Patricks Parish Church Broughshane. 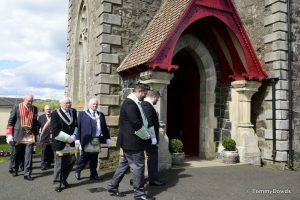 Brethren from many Lodges across the charity district assembled in glorious sunshine and proceeded from the church hall into the church. 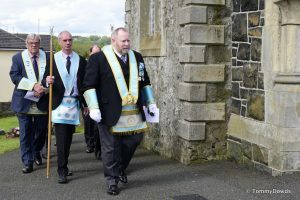 The Provincial Grand Master Right Worshipful Brother John Dickson, was joined by the Provincial Deputy Grand Master and his four Provincial Assistant Grand Masters. 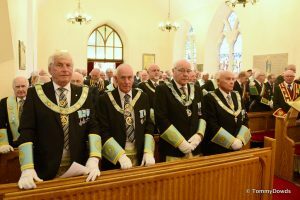 Distinguished Companions & Sir Knights accompanied a great number of Companions & Sir Knights, with representation from all Masonic Orders being present. 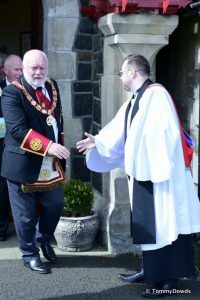 A most appropriate service was conducted by the local Rector The Reverend Dr. A.P. 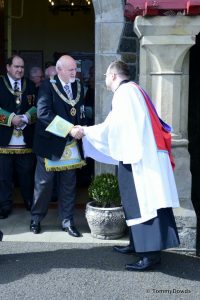 Campbell, exploring the meaning of the parable of the Good Samaritan and asked the question ‘who is my neighbour’ – a duty that we as Freemasons are taught from the outset of our Masonic life, and are ever reminded of by the Three Great Lights – his duty to his God,his duty to his neighbour, and his duty to himself. 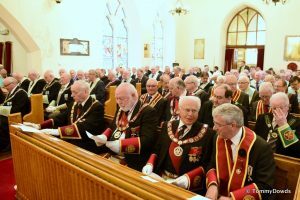 Afterwards the Brethren returned to the church hall where the ladies had kindly provided tea and biscuits, Once again commitment & dedication by the organising committee. 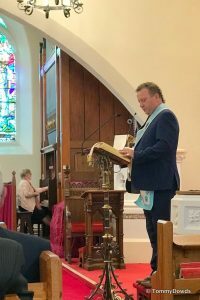 Worshipful Brother Andy Kennedy in his role as committee Chairman and the support of so many Brethren made for a successful and enjoyable event for all. 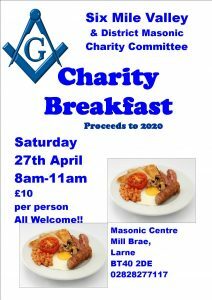 A charity breakfast will be held in Larne Masonic centre on Saturday 27th April 2019. 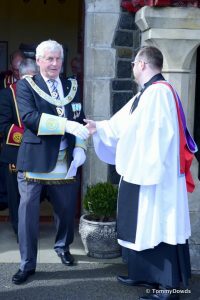 Proceeds are in aid of the Grand Masters Festival charities - Vision 2020. 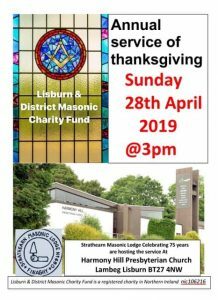 A charity breakfast will be held in Larne Masonic centre on Saturday 27th April 2019. 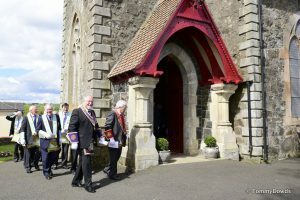 Proceeds are in aid of the Grand Masters Festival charities – Vision 2020. 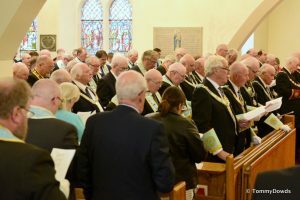 Brethren, the Stated Communication of the Provincial grand Lodge of Antrim will take place on Monday 29th April 2019. 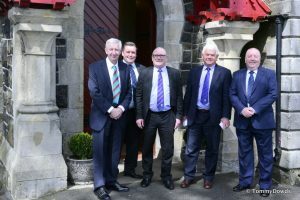 In the Leighinmohr House Hotel, Leighinmohr Ave, Ballymena BT42 2AN. 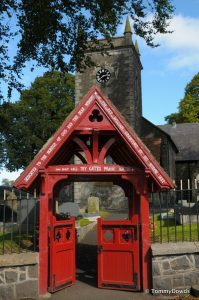 At 7:30pm.